One of our most widely beloved contributors, prolific poet and nonfiction writer Paisley Rekdal, has not only published another book (and a great one!) but also scheduled a remarkable event at the Chautauqua Institution for this August–one of no doubt *broad* appeal. The book is The Broken Country: On Trauma, a Crime, and the Continuing Legacy of Vietnam, winner of the AWP Nonfiction Award–that’s the Associated Writers and Writing Programs, an organization crucial to poets and writers in the U.S. and beyond. The book itself is published by the prestigious University of Georgia Press. In 2012, a young Vietnamese man named Kiet Thanh Ly walked into a downtown Salt Lake City megastore, purchased a knife, and began stabbing white male passersby in the parking lot, purportedly in revenge for the war in Vietnam: a war that, due to Ly’s age, he never immediately experienced. The Broken Country explores how Ly’s case may be at the heart of a larger discussion of war’s trauma, historical memory, cultural assimilation, and identity: issues that refugees and veterans alike must face when repatriating after war. Through investigative reporting, cultural criticism, oral history and personal reflection, The Broken Country considers the sheer number of people psychologically wounded by violence. In Ly’s tragic story, we might find the fascinating, if controversial, beginnings of a new kind of war memorial: one that draws together the testimony and trauma of war’s less visible victims. Whatever your summer plans may be, we urge you to pick up a copy of The Broken Country. If you can’t buy the book locally, where you might do your country and your favorite bookseller the most good, may we suggest IndieBound or Amazon? And for immediate gratification, we invite you to enjoy Paisley’s absorbing, often shocking essay “The Lives of Strangers,” available online. It’s a true tale of marriage, betrayal, and murder in Salt Lake City, which we were proud to feature in our inaugural print issue, “Dangerous Territory” (now sold out, so don’t even try asking for one). Paisley’s memoir-essay is in conversation with a stunning image, Buddy Patrol, by master painter Josh George. Buddy Patrol, by Josh George. Find out a little more about Paisley, her life, and her career by clicking here. 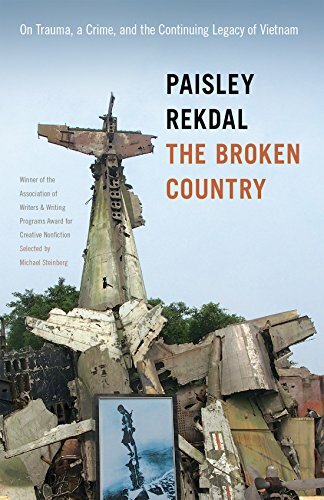 Paisley Rekdal, author, The Broken Country. 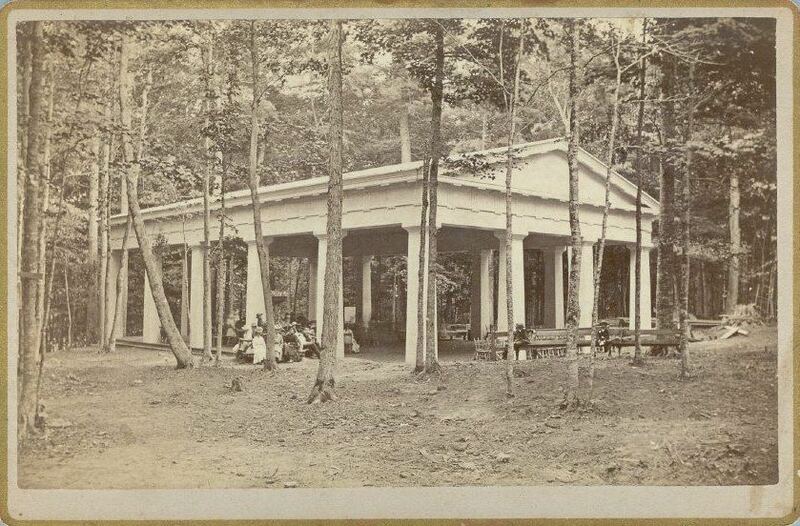 For more about Chautauqua, that most venerable and vital institution that has sponsored cultural events in southern New York since 1874, connect with them on Facebook or their website. The Chautauqua Writers Center is housed in a gorgeous historic building. Paisley will be speaking in the Hall of Philosophy–one of the Institution’s original buildings. For more on the history of the place, click here. Chautauqua’s famous amphitheater, where cultural events draw rock-star crowds. Many congratulations to Paisley, her publishers, and the readers who have been looking forward to this important book! Previous postFrom Our Pages: "The River My Father Promised, a quest through fifty countries." By Bea Chang. Next postFrom Our Pages: "Chastity Belt Included," a memoir by Ramsey Hootman.